Home > Health benefits > To talk health, happiness and prosperity to every person you meet. This sentence is found on the second line of the Optimists Creed. The Optimists are a group of individuals who promote children’s or youth activities in the community where the group meets. Properly called Optimists International, they are focused on helping kids in communities. Their site is, http://www.optimist.org/. I have the Optimists Creed on the wall in my office. I try and repeat it out loud as often as I remember. It is a wonderful set of positive sentences which when read aloud can help program your mind into a better area. I have done this off and on since I was a member of the group, back in Iowa in the late 80′s. Back then after every weekly morning meeting, we would repeat the creed as a group, outloud. It really helped me kick off my day to see and visit with so many positive people. I really loved the atmosphere and the energy everyone brought to the breakfast meetings. Note, some clubs have evening or lunch meetings. I could not have worked my schedule as a Navy Recruiter around anything but a breakfast meeting so I am glad my group met early, around 7 AM. There are many worthwhile youth groups in America. I have never found another which helps the members in this unique way though. The members gain through their associations with each other a great deal even before they apply their talents for helping the kids on community wide projects. You can check out their website to see what the local Optimist group close to you is actively participating or sponsoring. Optimists are very well known for their happy attitudes and attempt to bring this upbeat nature to their programs and activities for the youth in their communities. From the website the current numbers for Optimists International are 87,000 individual members who belong to 2,900 autonomous clubs. Optimists conduct 65,000 service projects each year, serving six million young people. Optimists also spend $78 million on their communities annually. These are some real good numbers reflecting extensive leverage of action for the size of the population doing this great work. For the Empowered Volunteer to totally grasp the reality of these numbers, the membership in 2007 was 123,865 and club totals were 3,918. The decline is dramatic over the last 6 years! The decline of nearly 37,000 members and almost 1,000 clubs is reflective of the economic decline for sure, but also I submit it is due to the lack of knowledge of how much volunteering can do for the individual’s personal health and mental well being. See the posts on this blog regarding the various health studies relating to social connections and social capital and increases in individual status for associated ideas and related data. If more people knew how much they gained from volunteering this and many other groups should see a steady increase in membership. This is the purpose of the empowered volunteer, to get the message out for both the individual benefits as well as the incredible nature of many of these civic groups for the public to see. I will reprint the Optimists Creed in full below to illustrate just how positive this groups creed really is. I don’t personally know of another group’s creed which even comes close to such positive thoughts. I personally love this creed! It is a great way to start any day when you recite it out loud. I highly recommend doing so and then track your results. You will be surprised how effective this practice can be in making you a bit brighter for the rest of the day, with carry over to the next in many cases! Being an Optimist was for me a pleasure and a fond memory. I networked my way into other groups from this initial membership and gained even more individual pleasure from extending my personal connections and relationships among adults. I stopped being just the local Navy Recruiter and became myself again. I really needed the balance of adult relationships after the total commitment needed to find worthy candidates for the US Navy. This demanding job of finding sailors to man the expanding US Navy back in the late 80′s was all encompassing and all consuming. I needed a diversion from my duties and many of my “formal requests” from my command to join groups were denied. This group and the Freemasons were finally approved formerly by Navy Recruiting District Omaha. I was thrilled. I has already networked my way to meeting several Optimists and Freemasons at the local YMCA, so I was ready to petition. I networked my way into joining the local Freemasons Lodge in Newton, Iowa next (you had to petition and then be initiated after you passed the famous voting process) and this combination of groups and the many friends I developed helped me tremendously with the stress and strain of Navy Recruiting which each military recruiter was dealing with back then. I owe a lot to both groups for keeping me sane during these very difficult times! I also networked my way to visiting, in uniform a US Navy function with NATO! I was formerly invited by a Marine Major who liked my involvement with the Optimists, as he was also in his community of Va Beach, Va. So he invited me to join him as his guest for the Icelandic NATO celebration. I was delighted, but the stipulation was I had to do it in full dress uniform. He was dressed in his, so that was understandable. I was by far the lowest ranking of Navy personnel there visible and several times I had to state I was a guest and not the help as one officer or another would try and hand me some plate to take away, they just could not allow an enlisted person to be a guest! But the Icelandic food was great and I got a personal introduction to the U. S. Admiral in charge of the whole East Coast of the US. This is very rare experience for a junior enlisted sailor for those of you not familiar with military formalities. Enlisted folks only see such senior officers when they stand at attention at change of command ceremonies or when they serve meals.It is very rare to have a one on one private chat with one, especially at that officers request! I was a Petty Officer 2nd Class at the time, MM2 (SS/SW) for those who know and care about the rate and warfare designations used in the Navy. It is very rare for a private conversation to take place between two individuals of such divergent ranks, which the admiral initiated when he saw my recruiting badge. 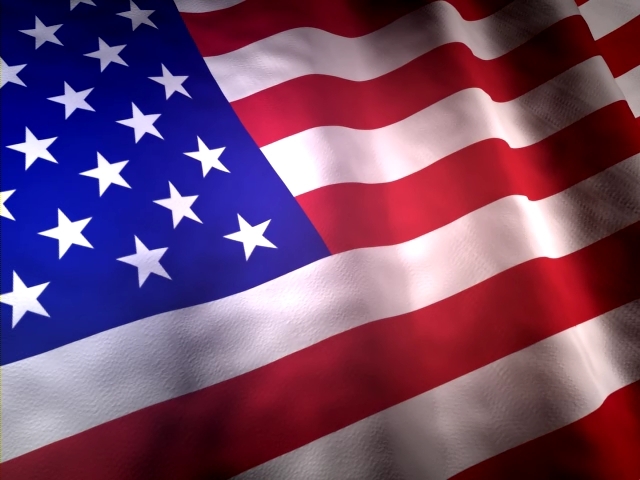 He had an interest in where I was recruiting as well as how things were going in the recruiting world after the First Gulf War, particularly how the war had impacted our efforts. This informal conversation played a huge part in my continued service in the Navy later on when the Admiral’s Chief of Staff called my command at NRD Omaha on my behalf. Literally within minutes of that call an unjust circumstance against me was straightened out and my new orders to stay in the Navy were arriving on the curly paper that was the fax machine back then. Such is the power of networking! My wife and I were trilled to move to my next assignment. My point is that you never know when simply being in a very worthy group can change your whole life as this one event changed mine. If I had not sought out adult company to balance my work related needs I would never have been able to network my way to visiting with the senior most officer on the East Coast. I also balanced my need for adult company with a new found Masonic brother who had been a POW during Viet Nam War. His stories helped me make sense of a world when I needed the help and I was and still am very grateful for his kind conversations. I am sure many of you can find this youth group worthwhile today, even if you need to start one yourself. Consider helping this or another group of your choice by volunteering today. You never know when a small thing could change your life forever. I am still getting up and running. Thanks for your input. While I’m very familiar with the content on this site, I am not nearly as used to the mechanics of the site itself. I hope to have everything up and ship shape in a couple of weeks. I plan on doing many more things so stop back by later on and see if I have not managed to get things fixed. Sorry you caught me slightly unprepared for visitors. Thanks for the interesting view point Greensmokecouponcode! I do hope to fill a need that most don’t know even exists. Please stop back frequently. I plan on posting on a regular basis new information and interesting content. I am glad you like it. Tell everyone who may share your passion! Many thanks for the url with podcast. You have nice blog, it just hard to find (at least my search) You should try one of this plugins: http://bit.ly/17x2SrU and/or http://bit.ly/14AbDBH I use those in all my wp blogs and I am happy with those. Both will get you better rankings in google with minimal amount of work. Thanks for your publication on the vacation industry. I will also like contribute that if you’re a senior taking into account traveling, it can be absolutely crucial to buy traveling insurance for golden-agers. When traveling, retirees are at high risk of having a health care emergency. Receiving the right insurance cover package to your age group can protect your health and provide peace of mind. I shall add a tab on this site for refresh. Can I enquire if there could be any updates in the near future? Thumbs up for a good post on this matter that I’m utmost concerned in. You are very kind to use such praise. Thank you very much. Attractive component to content. I just stumbled upon your website and in accession capital to say that I get in fact loved account your blog posts. Anyway I’ll be subscribing in your feeds and even I fulfillment you access constantly quickly. Nisha, thanks for the comments. I am glad to hear that I access the content quickly too. Please consider sharing the posts you like with your network by using the social media buttons on the top and bottom of every post. Share, share, share! Howdy! Do you employ twitter? I’d like to comply with you if that may be okay. I’m undoubtedly having fun with your weblog and look ahead to new posts. This really is becoming somewhat lots far more subjective, nonetheless I substantially prefer the personalised advertising sign in addition to their physical appearance. They’re typically colorful, gives a lot additional exuberance, and features a lot of fantastic antique attributes that can swiftly liven up the residence. Putting one of all those up will certainly capture everybody’s attention. Talking about folks, the nostalgia signs can also be fantastic enjoyment, letting you provide other persons with mutual likes and starting to become friends with these individuals. Afterwards chances are you’ll promote the particular classic, ancient retro style and design to other people, which is often enjoyable. I really don’t see any relationship on your comments to my post. Please comment with items relative to the topic in the future. Thanks for the high praise Joesph. Please stop in again and if you like a post please use the social media buttons at the top and bottom buttons to send the post to your network. Thanks for your post. One other thing is that individual American states have their own personal laws that affect homeowners, which makes it quite hard for the the legislature to come up with a different set of guidelines concerning home foreclosure on home owners. The problem is that each state possesses own laws and regulations which may work in an unwanted manner when it comes to foreclosure procedures. I like the valuable information you provide to your articles. I will bookmark your weblog and test again right here frequently. I am fairly sure I will be told lots of new stuff proper right here! Good luck for the next! Georgetta, Use the RSS button to recieve notices of each new blog post! Thanks for the kind words. I’m curious to find out what blog platform you have been using? I’m having some minor security issues with my latest blog and I’d like to find something more risk-free. Do you have any recommendations? I love what you guys are usually up too. Such clever work and coverage! Keep up the excellent works guys I’ve incorporated you guys to blogroll. While I am sad that I bored you I guess I shall rejoice in your return. Its including you learn my thoughts! You seem to recognize a great deal about this, just like you wrote the ebook in buying it as well. I really believe that you can use a couple of % to pressure the material house somewhat, but other than that, this really is fantastic blog. An excellent read. I’ll certainly return. Good – I should certainly pronounce, impressed with your site. I had no trouble navigating through all the tabs and related info ended up being truly simple to do to access. I recently found what I hoped for before you know it in the least. Quite unusual. Is likely to appreciate it for those who add forums or anything, website theme . a tones way for your customer to communicate. Nice task. Thanks , I have recently been looking for information about this subject for ages and yours is the best I have came upon so far. However, what about the conclusion? Are you certain in regards to the source? You are always welcome to review the sources I use. I put them into the post for that purpose. 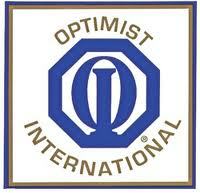 In this case, the topic is from the group called Optimists International. The sources I use in every post are highly placed in their field and worthy of their status. believed this submit used to be great. I do not recognize who you are but certainly you are going to a famous blogger if you happen to aren’t already. Cheers! I am most certainly not famous now. Perhaps in the future if this idea ever catches on in the world. I won’t hold my breath. I would rather the idea catch on and grow than any fame for me personally. This idea is one tiny thing that could help every single person in the world and improve the population in ways towards peace rather than conflict. That would be a most worthy achievement if it ever happened. RSS is all I have right now. I will in the near future present an e-book which will need a sign up feature I am researching right now. Welcome. Thanks for the kind words. Feel free to spread the word to your network. Hello! eadcbfg interesting eadcbfg site! I’m really like it! Very, very eadcbfg good! Hello! dedddab interesting dedddab site! I’m really like it! Very, very dedddab good! Hello! badaeef interesting badaeef site! I’m really like it! Very, very badaeef good! I was looking through some of your blog posts on this internet site and I conceive this site is really instructive! Retain posting. I am of no help. Sorry! Considerably, this publish is really the sweetest on this notable theme. I harmonise with your conclusions and can thirstily seem ahead to your incoming updates. Stating thanks will not just be sufficient, for your phenomenal clarity within your writing. I will immediately grab your rss feed to stay informed of any updates. Admirable operate and a lot good results with your enterprise dealings! Please excuse my poor English as it really is not my very first tongue. Wow, your English is good for one not native. Enjoy the posts and share with your network any worthy posts you find please. Hi, wanted to say, I enjoyed this post. It was pretty funny. Keep posting! Just desire to say your article is as amazing. The clearness in your post is simply excellent and i could assume you are an expert on this subject. Fine with your permission let me to grab your feed to keep up to date with forthcoming post. Thanks a million and please carry on the rewarding work. You are welcome and thanks for stopping by. Welcome! Wow! I cant think I have found your blog. Very useful information. I have had several hundred in the last 4 days say it is working fine, so I presume you just do it? When you hit the RSS button is will then notify you when a notice is sent for a new post. I like this website its a master peace ! Glad I found this on google. “Observe your enemies, for they first find out your faults.” by Antisthenes. What i don’t understood is actually how you’re not really much more well-liked than you may be now. You’re very intelligent. You realize therefore significantly relating to this subject, produced me personally consider it from a lot of varied angles. Its like men and women aren’t fascinated unless it’s one thing to do with Lady gaga! Your own stuffs nice. Always maintain it up! In the great design of things you actually secure an A+ just for effort. Where you actually lost me personally was first in all the specifics. As people say, details make or break the argument.. And it couldn’t be more accurate in this article. Having said that, let me tell you just what did do the job. Your article (parts of it) is definitely really persuasive and this is possibly why I am making an effort to comment. I do not make it a regular habit of doing that. Next, despite the fact that I can certainly notice the jumps in reason you make, I am not convinced of exactly how you seem to unite the ideas which inturn help to make your final result. For the moment I will, no doubt subscribe to your point but wish in the near future you link the dots better. Excellent post. I was checking continuously this blog and I’m impressed! Extremely useful info specially the last part I care for such info much. I was looking for this particular info for a long time. Thank you and good luck. Third Flower My wife and i happen to be now delighted that Albert could carry out his research because of the concepts he had through your online page. It really is once in a while perplexing to only always be making a gift of steps which a number of people could have been marketing. So we absolutely grasp we’ve received you to become grateful to for that. A lot of the explanations you designed, the straightforward blogging site navigation, the relationships you help to instill it’s mostly excellent, and it can be helping our son and us think that that report is entertaining, and that is unbelievably crucial. Thanks for all! Thanks for one’s marvelous posting! I truly enjoyed reading it, you are a great author.I will be sure to bookmark your blog and will come back in the future. I want to encourage continue your great job, have a nice holiday weekend! Feel free to present your challenge to my source. I will evaluate it for a response. If I am wrong, I will make corrections and give you credit for the issue. ENSURE you are correct if you go forward. I won’t publish stuff that is unworthy if you are not correct. It will simply be deleted. I look forward to your reply. I will monitor this post with the Optimists Creed sentence for a week or so expecting your response. Welcome and enjoy the site. I’m impressed, I must say. Really hardly ever do I encounter a blog that’s each educative and entertaining, and let me let you know, you have hit the nail on the head. Your idea is excellent; the issue is something that not enough persons are speaking intelligently about. I’m very happy that I stumbled across this in my search for something regarding this. Thanks so much. Consider sharing the post if you find them worthy using the social media buttons at the top and bottom of each post with your network. They will praise you and benefit too. You should be a part of a contest for one of the finest blogs on the net. I most certainly will highly recommend this web site! Everything is very open with a precise description of the issues. It was really informative. Your site is useful. Many thanks for sharing! Great site you have here.. It’s hard to find high quality writing like yours these days. I seriously appreciate individuals like you! Take care!! I truly wanted to make a small remark in order to thank you for these stunning guidelines you are giving out on this website. My extended internet search has at the end of the day been compensated with reasonable suggestions to write about with my friends. I would admit that many of us site visitors are undoubtedly blessed to be in a wonderful site with very many perfect individuals with insightful opinions. I feel truly happy to have discovered your entire web page and look forward to so many more fun times reading here. Thanks once again for a lot of things. Wow, very nice compliments. Welcome and return often. I simply wanted to construct a quick remark to be able to say thanks to you for these amazing concepts you are sharing at this website. My long internet investigation has finally been rewarded with brilliant details to share with my friends and classmates. I ‘d assert that most of us website visitors are truly lucky to exist in a fine community with many marvellous people with insightful opinions. I feel really fortunate to have come across the web page and look forward to some more amazing moments reading here. Thank you again for all the details. Please see today’s post for my reply. I am not taking on partners right now. After examine just a few of the weblog posts in your web site now, and I really like your method of blogging. I bookmarked it to my bookmark web site record and can be checking again soon. Pls try my web page as effectively and let me know what you think. See todays post for this issue. I feel this is among the such a lot significant info for me. And i’m satisfied studying your article. But want to statement on few common issues, The website taste is great, the articles is truly great :D. Just right process, cheers. Thanks for the kind words. I hope you visit EVRA soon and often Antone Denny. Additionally please share the posts you find worthy with your network using the social media buttons located on the top and bottom of each post. You can also get notices of the new posts by using the RSS button located on the top of the site, upper right hand side. The FaceBook button is right next to it. Enjoy and Welcome to EVRA!!! You should be a part of a contest for one of the best blogs on the internet. I am going to recommend this website! Hello, i think that i saw you visited my blog thus i came to 搑eturn the favor?I’m attempting to find things to enhance my web site!I suppose its ok to use some of your ideas!! Thanks for the kind words. I hope you visit EVRA soon and often Serita Willyard. Additionally please share the posts you find worthy with your network using the social media buttons located on the top and bottom of each post. You can also get notices of the new posts by using the RSS button located on the top of the site, upper right hand side. The FaceBook button is right next to it. Enjoy and Welcome to EVRA!!! You need to be a part of a contest for one of the best websites on the net. I’m going to highly recommend this site! Thanks for the kind words Livia Platt!!! Thanks for the kind words. I hope you visit EVRA soon and often Ellie Hagberg. Additionally please share the posts you find worthy with your network using the social media buttons located on the top and bottom of each post. You can also get notices of the new posts by using the RSS button located on the top of the site, upper right hand side. The FaceBook button is right next to it. Enjoy and Welcome to EVRA!!! When I originally commented I clicked the -Notify me when new feedback are added- checkbox and now every time a comment is added I get 4 emails with the same comment. Is there any way you possibly can take away me from that service? Thanks! Please see the post published today for the answer to that question. Welcome and enjoy. hi!,I like your writing so so much! share we keep in touch extra about your post on AOL? I require a specialist on this area to resolve my problem. May be that is you! Looking forward to see you. Please refer to the post published today for answers to your questions. I just want to say I am all new to blogging and site-building and certainly loved this blog. Probably I’m planning to bookmark your website . You absolutely have awesome articles and reviews. Many thanks for revealing your web-site. Issac Maez, Thanks for the kind words. I hope you visit EVRA soon and often. Additionally please share the posts you find worthy with your network using the social media buttons located on the top and bottom of each post. You can also get notices of the new posts by using the RSS button located on the top of the site, upper right hand side. The FaceBook button is right next to it. Enjoy and Welcome to EVRA!!! Fantastic goods from you, man. I’ve understand your stuff previous to and you are just extremely fantastic. I actually like what you’ve acquired here, really like what you’re stating and the way in which you say it. You make it enjoyable and you still take care of to keep it smart. I can not wait to read far more from you. This is really a great site. Howdy! I simply wish to give you a huge thumbs up for the great information you have got right here on this post. I’ll be returning to your website for more soon. There is certainly a great deal to know about this issue. I love all of the points you have made. You are so awesome! I do not believe I’ve truly read something like this before. So good to discover another person with some original thoughts on this topic. Seriously.. thank you for starting this up. This website is something that is needed on the internet, someone with some originality! It’s actually a nice and helpful piece of information. I’m glad that you shared this helpful info with us. Please stay us up to date like this. Thanks for sharing. Hello! I simply would like to give you a big thumbs up for the excellent info you have got right here on this post. I am returning to your blog for more soon. You are so interesting! I do not suppose I’ve read anything like this before. So great to find someone with some original thoughts on this subject matter. Seriously.. thank you for starting this up. This website is one thing that is needed on the web, someone with some originality! Thanks for sharing excellent informations. Your site is very cool. I’m impressed by the details that youˇve on this website. It reveals how nicely you understand this subject. Bookmarked this website page, will come back for more articles. You, my pal, ROCK! I found simply the information I already searched all over the place and simply could not come across. What an ideal site. You’re so awesome! I do not suppose I’ve read through something like this before. So great to discover someone with a few genuine thoughts on this subject matter. Really.. thanks for starting this up. This web site is one thing that’s needed on the internet, someone with some originality! Thanks for sharing superb informations. Your website is very cool. I’m impressed by the details that youˇve on this blog. It reveals how nicely you perceive this subject. Bookmarked this website page, will come back for extra articles. You, my friend, ROCK! I found simply the information I already searched all over the place and simply could not come across. What an ideal website. I blog quite often and I genuinely thank you for your information. Your article has truly peaked my interest. I am going to bookmark your website and keep checking for new information about once a week. I subscribed to your RSS feed as well. Your style is very unique compared to other folks I have read stuff from. Thank you for posting when you have the opportunity, Guess I will just bookmark this site. Hey there! I just would like to offer you a big thumbs up for the excellent info you have right here on this post. I’ll be coming back to your web site for more soon. I hope you visit EVRA soon and often Brian Spear from Harvard.edu. Just about all of the things you point out happens to be astonishingly precise and that makes me ponder the reason why I had not looked at this with this light before. Your article really did turn the light on for me personally as far as this specific issue goes. Nevertheless there is one particular issue I am not really too comfy with and while I attempt to reconcile that with the core theme of the point, allow me observe exactly what all the rest of the subscribers have to point out.Nicely done. I just could not go away your web site prior to suggesting that I extremely loved the usual info an individual supply to your guests? Is going to be back regularly to check out new posts. I hope you visit EVRA soon and often Darnell Andis. Hiya, I am really glad I have found this information. Today bloggers publish just about gossips and web and this is actually annoying. A good blog with interesting content, that’s what I need. Thank you for keeping this website, I will be visiting it. Do you do newsletters? Can not find it. wonderful publish, very informative. I wonder why the opposite experts of this sector do not realize this. You should continue your writing. I am sure, you have a huge readers’ base already! Next time I read a blog, Hopefully it won’t disappoint me as much as this particular one. After all, I know it was my choice to read through, however I actually thought you would probably have something interesting to talk about. All I hear is a bunch of whining about something that you can fix if you were not too busy seeking attention. Thanks for the unkind and rude words. I hope you visit EVRA soon and often Gracie@harvard.edu. Find a new rudeness statement to post with. This one is used up!!!!! Have you ever thought about creating an e-book or guest authoring on other sites? I have a blog centered on the same ideas you discuss and would really like to have you share some stories/information. I know my readers would enjoy your work. If you’re even remotely interested, feel free to shoot me an e-mail. Please see the latest blog published with the answer to your questions. Hey there, You’ve performed lotopyeer a fantastic job. I will definitely digg it and for my part recommend to my friends. I am sure they’ll be benefited from this website. Having read this I thought it was very enlightening. I appreciate you spending some time and effort to put this information together. I once again find myself spending a lot of time both reading and commenting. But so what, it was still worthwhile! I have been examinating out some of your stories and i can claim nice stuff. I will definitely bookmark your blog. An outstanding share! I have just forwarded this onto a friend who was doing a little homework on this. And he in fact ordered me dinner due to the fact that I found it for him… lol. So let me reword this…. Thank YOU for the meal!! But yeah, thanx for spending the time to discuss this topic here on your web site. May I just say what a relief to discover a person that genuinely understands what they are discussing online. You actually know how to bring an issue to light and make it important. More people need to look at this and understand this side of the story. I was surprised you are not more popular given that you definitely have the gift. Spot on with this write-up, I honestly believe this website needs much more attention. I’ll probably be returning to see more, thanks for the information! I’m gone to tell my little brother, that he should also visit this webpage on regular basis to get updated from hottest news. Thanks for the kind words. Feel free to share your favorite posts with your social media of choice too. The buttons are located at the top and bottom of each post. Welcome and stop back frequently. I am glad you found the site. Be sure to check out the Facebook page too! No, I can’t. I use wordpress and a free theme. Several of them are rife with spelling problems and I to find it very troublesome to tell the reality on the other hand I will definitely come back again.